It took me a while to commit to the visor but I’m all in for those hot summer rounds. 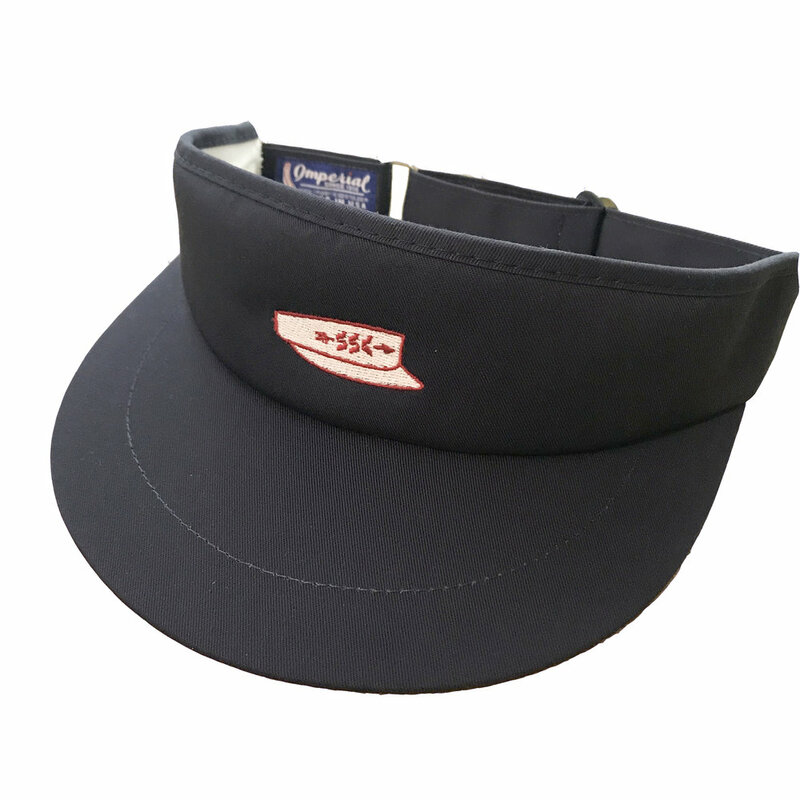 The sweatband is key and the brim coverage is ideal. Don’t knock it until you’ve tried it. Another bold look that I reserve for emergency 9 rounds or vacation golf. 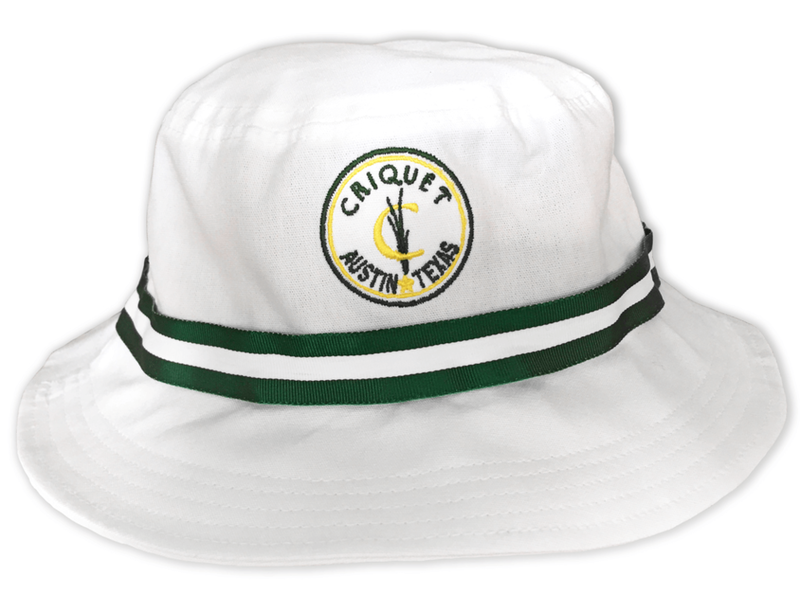 Nothing says “I’m here to have a good time” quite like a Bucket Hat. 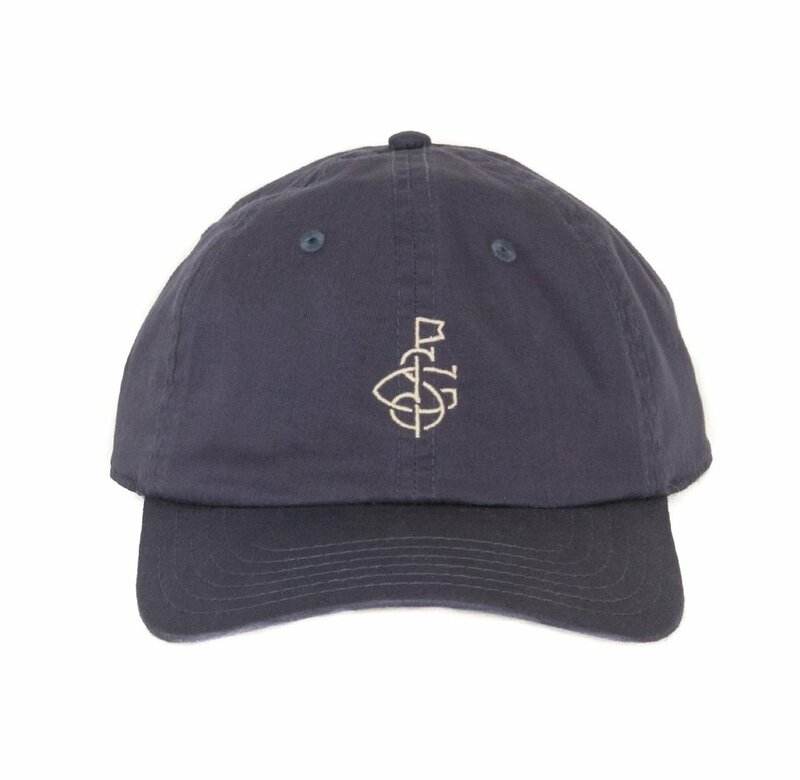 Unstructured and unencumbered, the classic is probably the hat I've purchased the most. Maybe it's my mid-90s high school years but the curve of a classic just feels right sometimes. 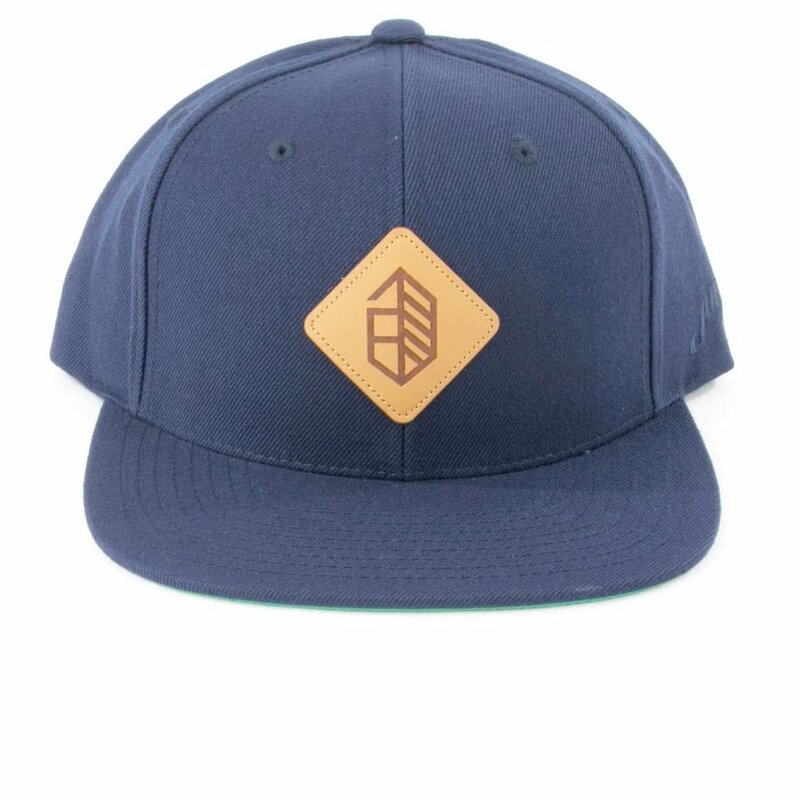 I’ll be the first to admit I am probably too old for a flat bill. I can’t pull it off very well so I tend to opt for the slightly curved variety or hand-curve to prefered fit. 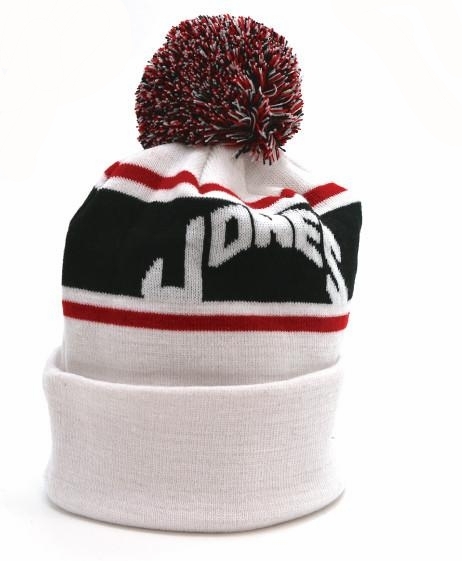 That being said, the Jones wool hat is the play for shoulder season or for making a bold ‘stume statement. 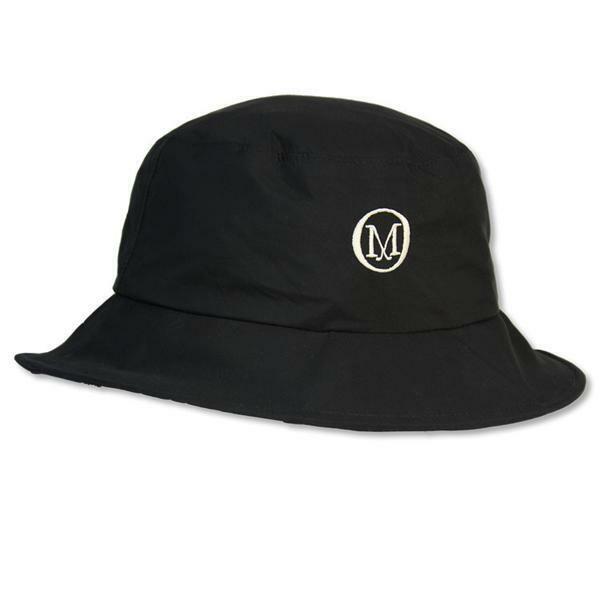 When it rains I have two go-to options: the waterproof flexfit and the storm-ready bucket hat. Either will keep you dry and ready to play. A good polo is foundation to any proper golf 'stume. However, it’s not that simple. I don't blindly pick any shirt out of the closet before I head out to the course. 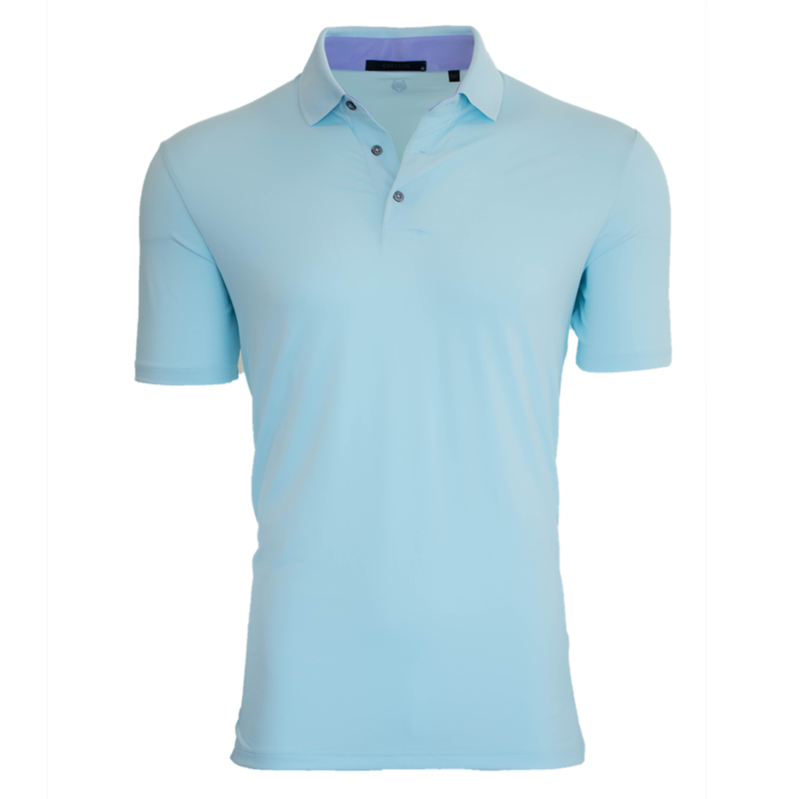 I have specific types of polos for differing occasions. 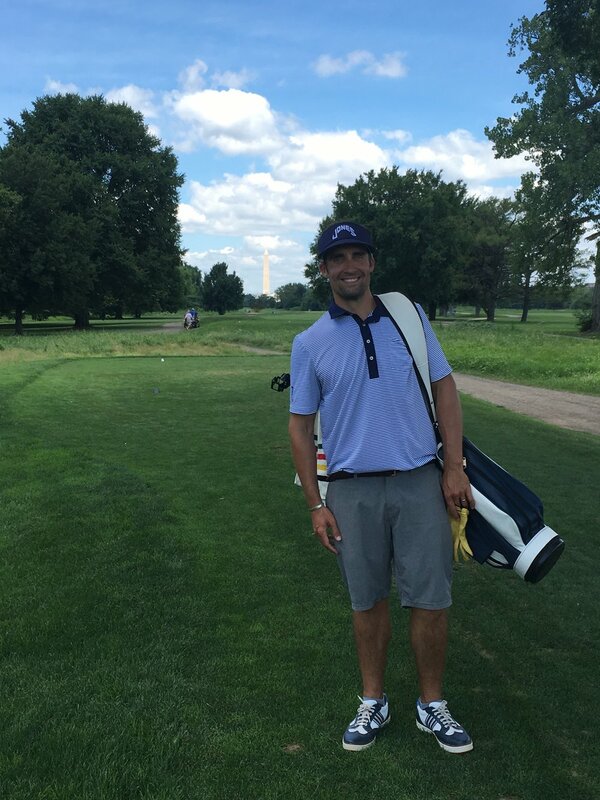 I am a firm believer that golf clothing is suitable for off course activities. However, that rule doesn't apply to just any golf shirt. When I know I am going to be out for the day or doing a errand or five in conjunction with a round I have a go to shirt: Criquet. They are classic cotton perfection and suitable for any occasion. 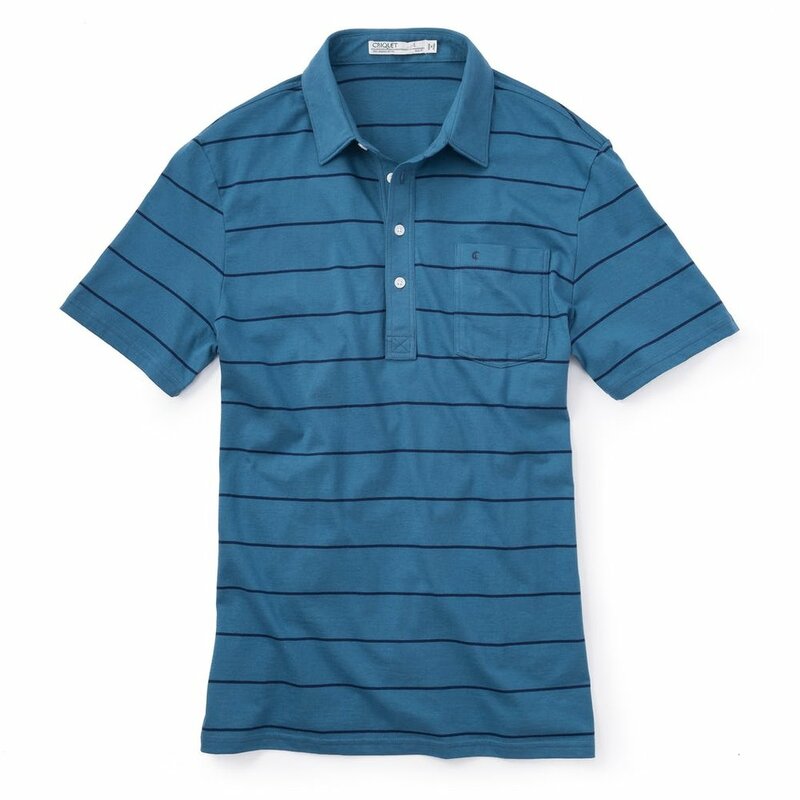 I wear my Criquet shirts on the course, to the store, on casual Fridays, and on the couch when I watch tournament golf, because a golf polo helps me feel engaged in the action. Another on/off course option is Linksoul, they’re always putting out the casual vibe of making pars and not wars. All that being said, these shirts have their limitations. Those limitations being heat and humidity. I, along with my cotton polos, wilt in such conditions and can’t be recommended. Golf can be a formal occasion. When I've been invited to a nice club or when I'm playing a bucket list course I want to look my best. 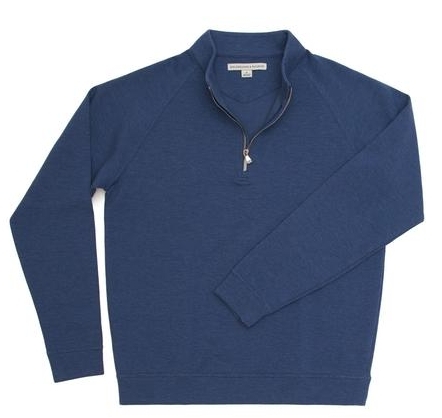 I have two go to shirts for such scenarios: Holderness & Bourne and Greyson Clothiers. 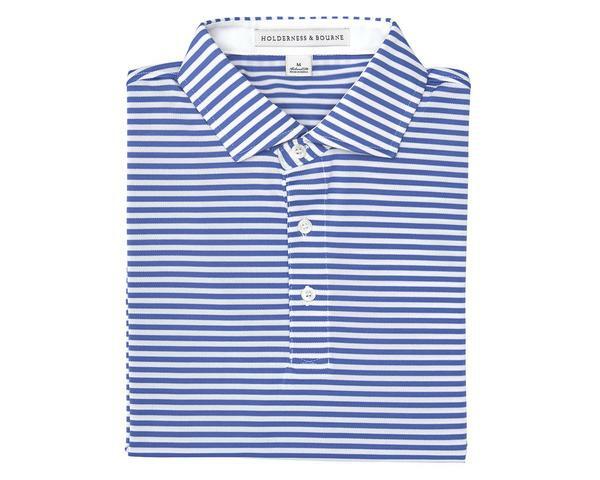 H&B cuts a fine shirt fit for Pine Valley. They are classic, timeless, and can be worn with confidence at the most esteemed course. Greyson, while cut from a different cloth, offers a sharp bold statement. 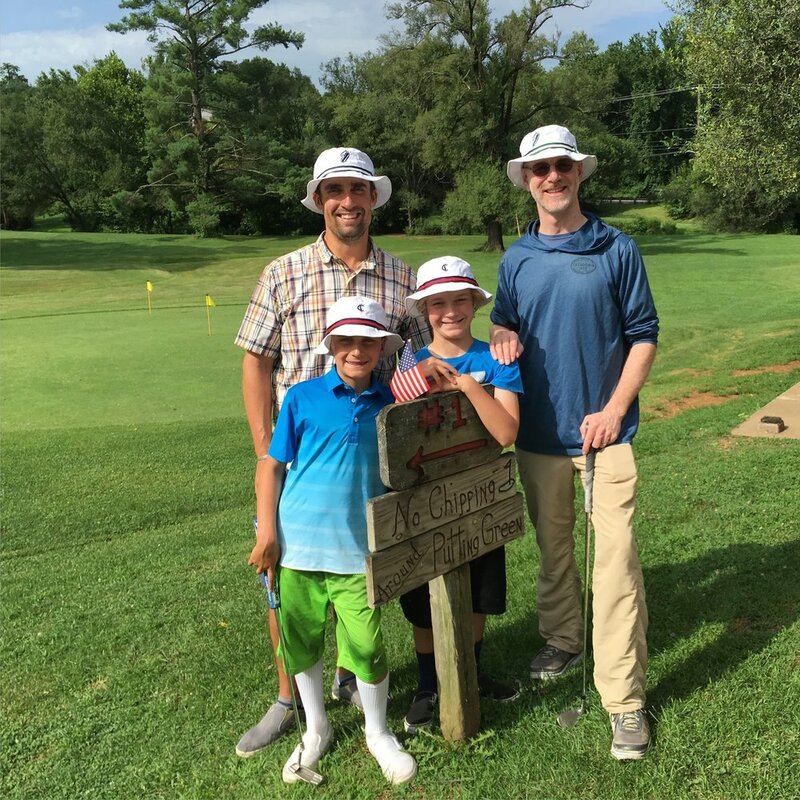 Greyson is a good bet for a bucket list track or a Member/Guest outing. Looking good means playing good. Fact. Golf is played in the heat and humidity. Sometimes I need a shirt that can hold up during the dog days. 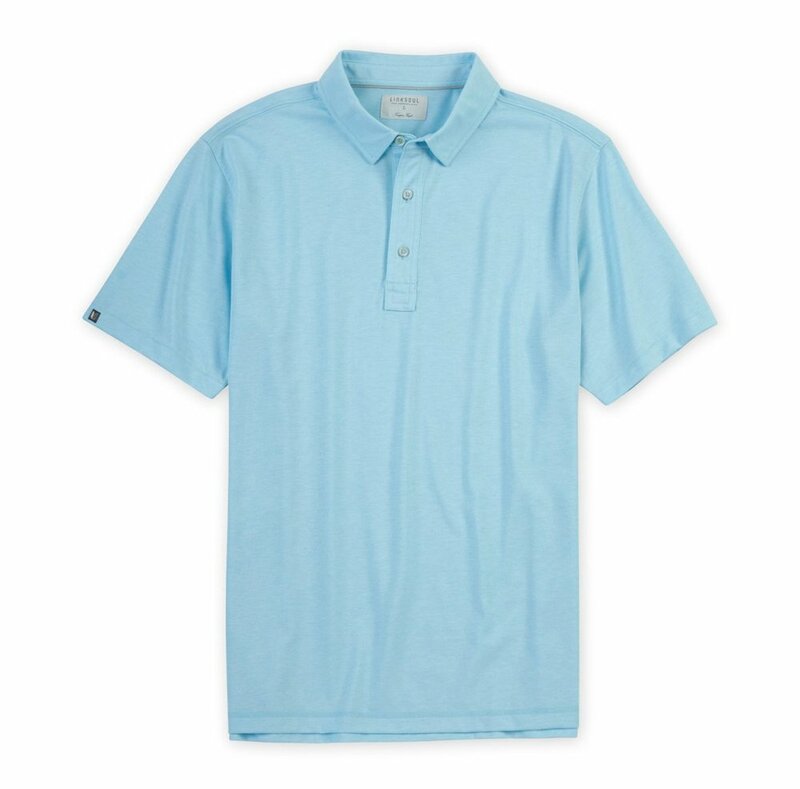 From a fashion standpoint polyester can go wrong so quickly, so many poly golf shirts have a style shelf life of one or two seasons, if you don’t believe me then you haven’t made as many poor pro shop decisions as I have, congratulations. Some solid poly options are Greyson, and RLX. They are all lightweight and cut in a way that won’t droop in the elements. I have two options here, shorts or pants but again it isn’t that simple. Much like the polo I have a checklist I go through: course, weather, and situation. I have to say I don’t have as many companies I trust in this category. 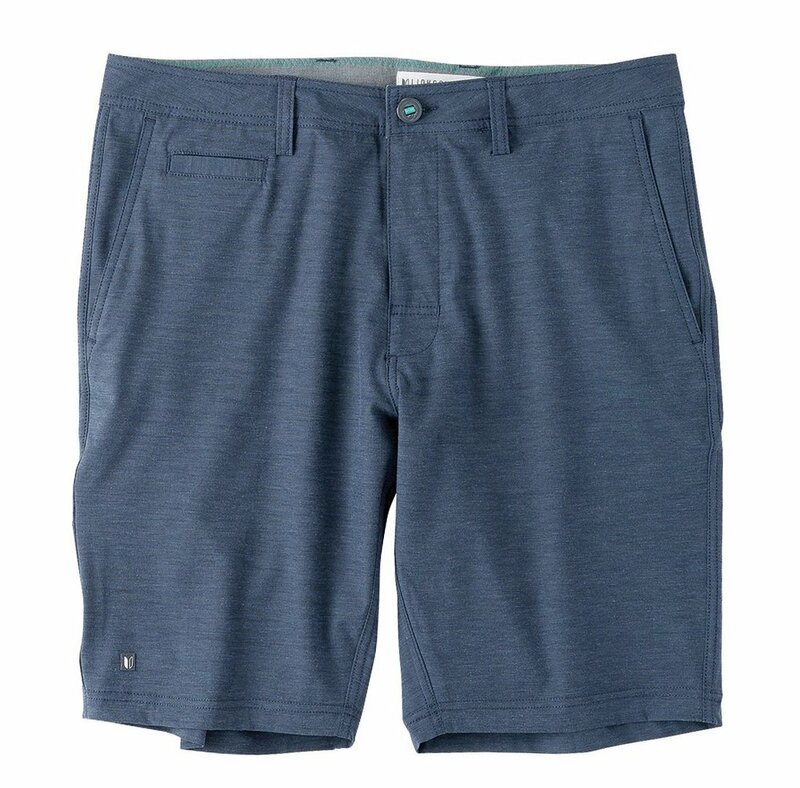 Linksoul's Boardwalkers are hands down the best shorts I have ever worn. They are light, flexible, and have a clean look suitable for any occasion. The same goes for the boardwalker pant. 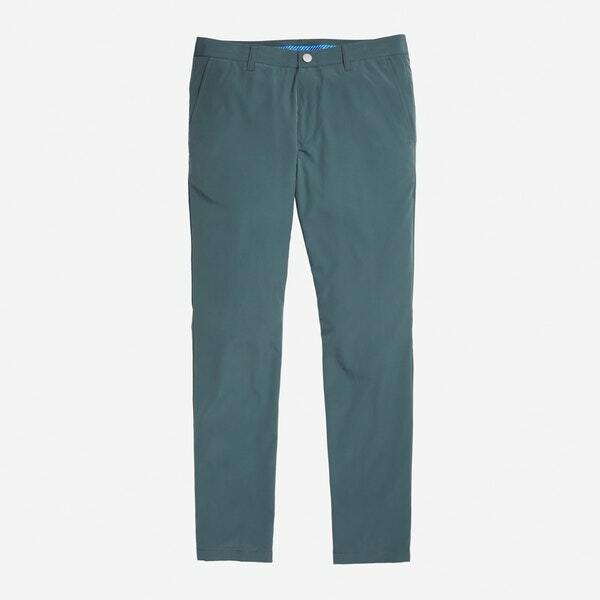 When I require a slightly cleaner look I bust out my Maide (I refuse to conform and call them Bonobos) pants or shorts. 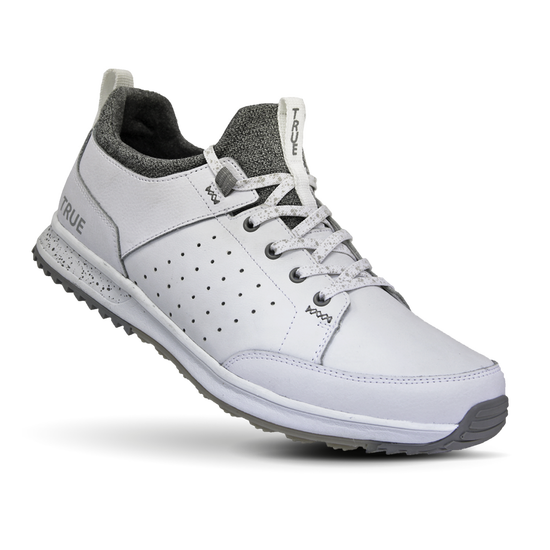 They are perfect for when the course requires a more put together 'stume. 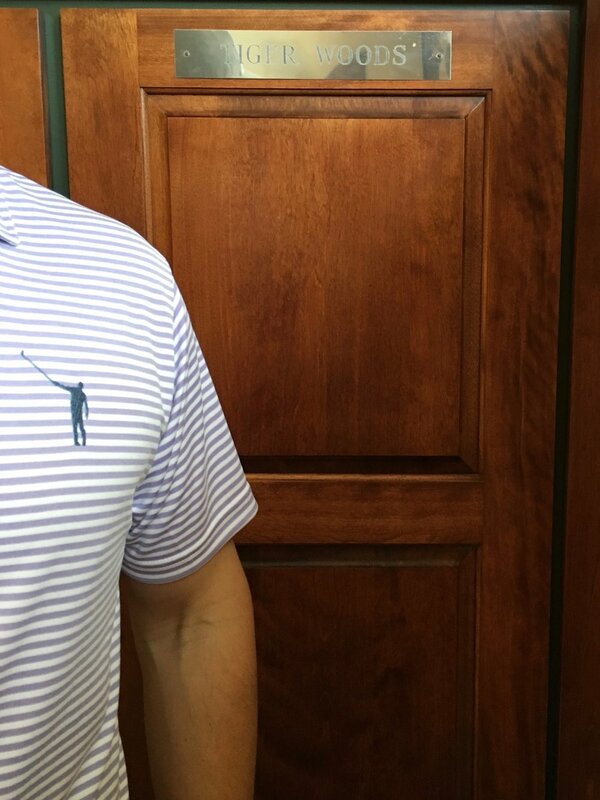 I also appreciate their subtle details like the sizing scorecard and shirt clinging lining. When the weather gets real, State Apparel is the only choice. I couldn’t be more impressed with a pair of golf pants. 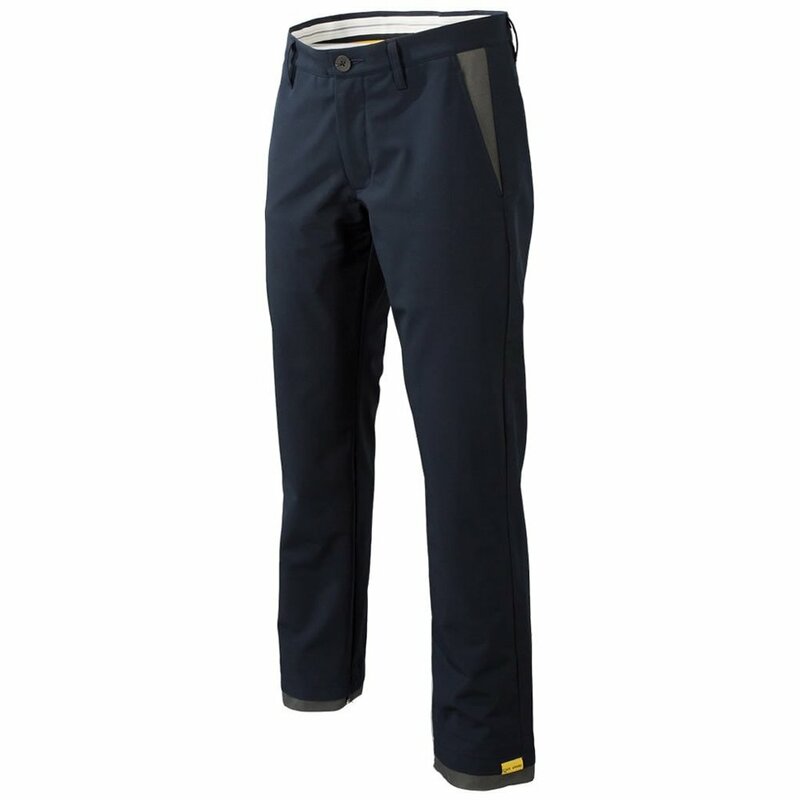 I’ve put these trousers to the test both in Alaska and at Bandon in December and they hold up spectacularly. State Apparel pants have the patented built-in club cleaning fabric that keeps you ready to play your next shot. If you play in cool conditions I can’t recommend State Apparel enough. I prefer to walk when possible. 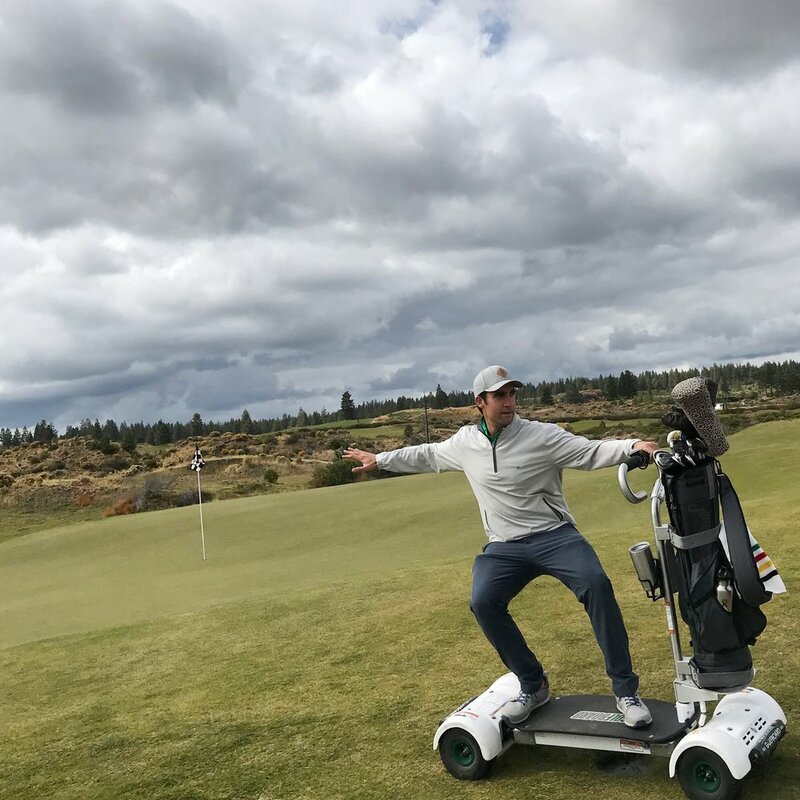 Not every course is built for the walking golfer but when given the option/opportunity I think walking allows golfers to connect with the game more holistically. That is why selecting the right shoe is so important. Oh, and they have to look good to feel good. I’m happy to say I think I found the best all-purpose shoe in True Linkswear. I purchased my first pair of Trues several years ago. They were comfortable but my friends and family often referred to them as my "clown shoes." Was the toebox a bit large? Yes! Did I care?...maybe. I drifted away from True and dabbled with Ecco and Nike, among others. I felt like Goldilocks in search of “just right.” That’s why I was so pleased when True Linkswear retooled and released a new line this year. I’ve played several rounds in my Outsiders and I’m impressed. Water resistant, comfortable, and yes fashionable. All good things. That being said I have two alternative shoes that I enjoy very much, Canoos and Seamus Feel Players. Canoos deck shoes are perfect for a quick 9 and I’ve worn them off the course more than on the course. The Feel Player is unlike anything I’ve ever worn before. 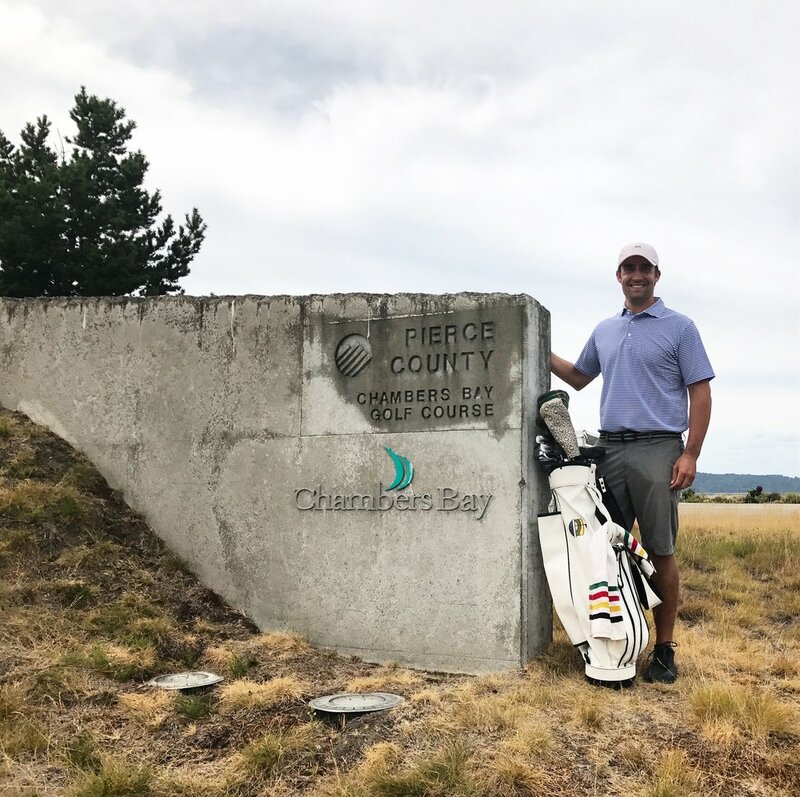 I put them in play when I walked Chambers Bay this summer and I’ve never felt more connected to the soil. More moccasin than shoe, the Feel Player is so light and flexible you almost forget you’re even wearing shoes. They may not be for everyone but I happily wear them from time to time. A blended fabric with just enough elasticity to provide flexibility and just enough cotton to provide the classic look I prefer. 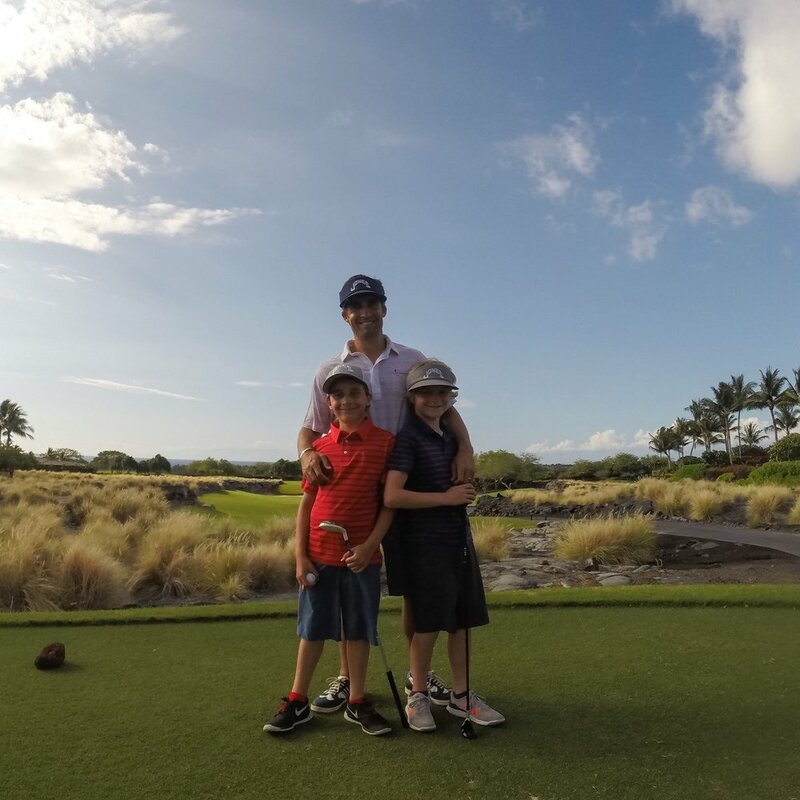 A perfect choice both on and off the course. 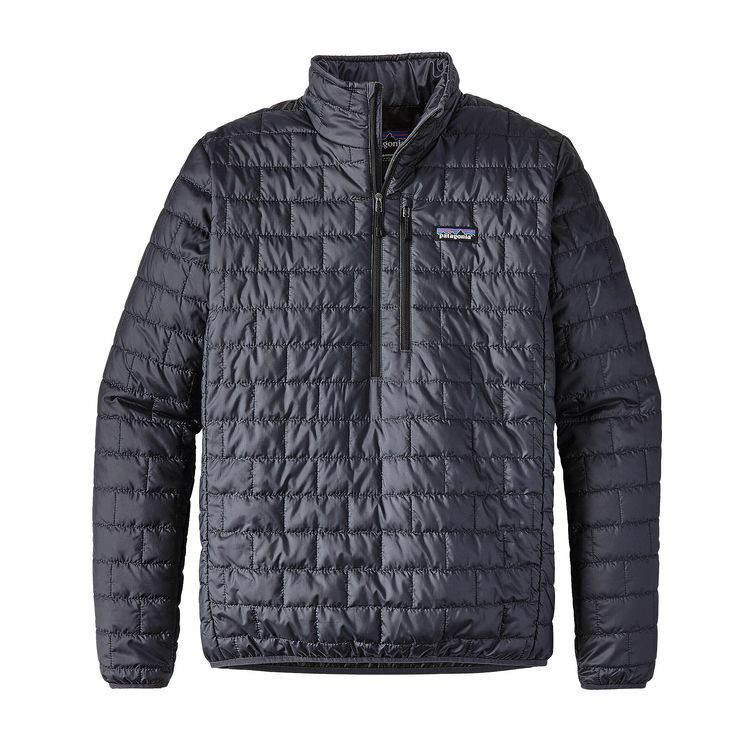 A pure poly that has a more sporting look and feel. Feed the Wolf...if you dare. 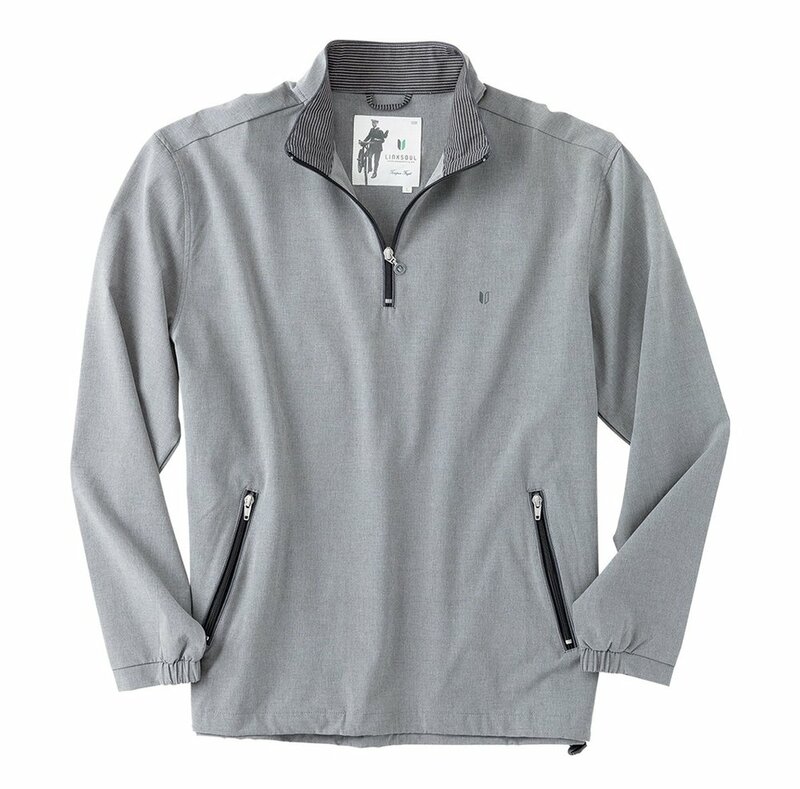 This Quarter Zip windbreaker is a perfect play for a breezy day. I often keep it in the bag in case the weather turns. Putting together a golf ‘stume is a real good time. It can even be enjoyable to reflect on past ‘stume failures (I’m looking at you mock turtleneck!) 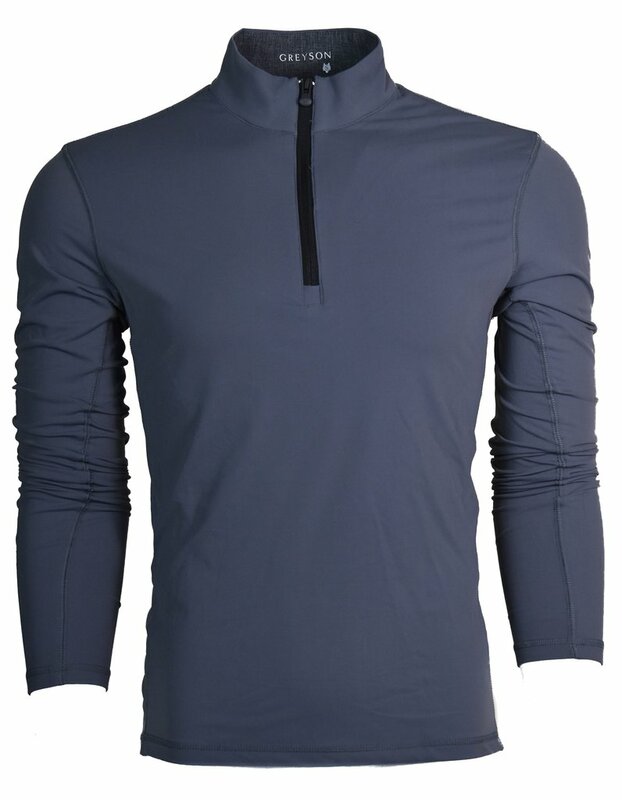 The perfect ‘stume is functional, stylish, and speaks to who you are as a golfer. Find your ‘stume style and rock it with pride.